These Canadian maple wood skateboards feature DOTS OBSESSION (2018), by Yayoi Kusama, an artist represented in MoMA’s collection. They’re available in Black Small Dots, Black Big Dots, Red Small Dots and Red Big Dots. Add your own wheels (not included) for cool, functional skateboards or hang on your wall as art (wall mount included). These Dots Skateboards are replicas of artworks specially created by Yayoi Kusama. The original skateboards began as samples based on digital renderings of details from Kusama’s work. 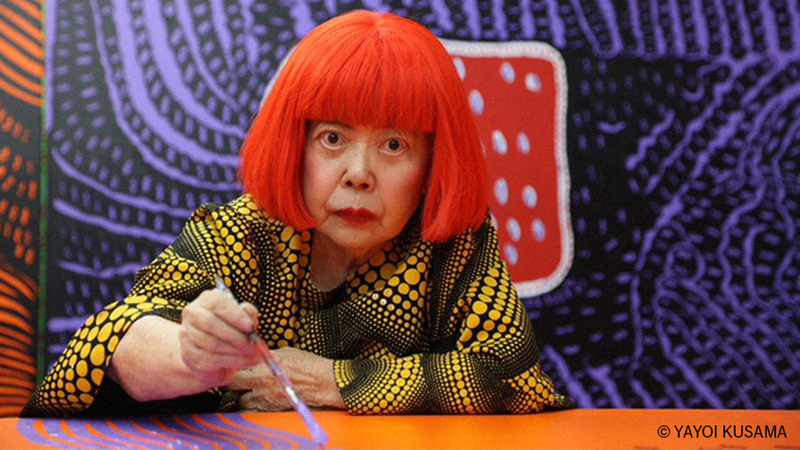 They were sent to Kusama’s studio in Tokyo for her approval. After reviewing them, Kusama decided they needed to be altered. She then meticulously hand-painted her famous motif over each deck. Our final products remain true to the patterns of Kusama's hand-painted pieces and are available in an open edition.